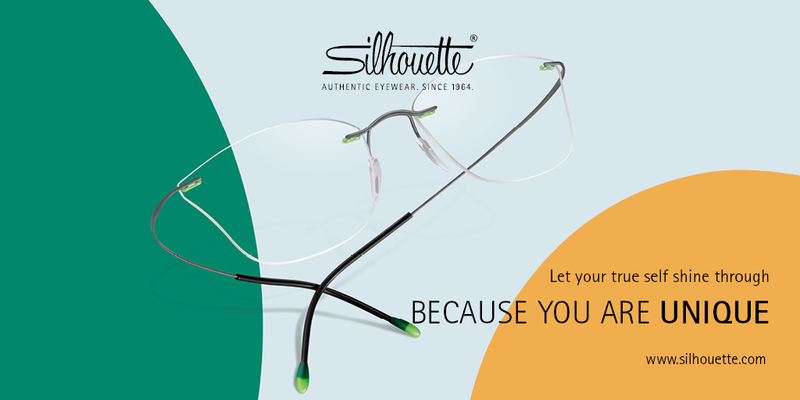 We would like to inspire you to get to know the fascination of Silhouette spectacles. No other eyewear offers as many customisation options. Every lens shape can be combined with every design and colour of side, giving you endless possibilities to choose from. Find the eyewear that matches your personality, eye colour and skin tone perfectly. There’s a right Silhouette for everyone, for every festive moment or business meeting and every beautiful day. Taylor’s opticians will help you choose your individualised eyewear. Silhouette eyewear lights up your face. Call in to Taylor’s Opticians to find your unique Silhouette customised spectacles.